As outlined in Mary Meeker’s 2017 Trends report, this year marks the first time that internet ad spend is expected to overtake its TV equivalent. In today’s Chart of the Day, we therefore examine how brand discovery breaks down according to the media consumption habits of different age groups. Just as daily time spent watching TV rises directly in line with age, so too does discovering brands via TV ads. 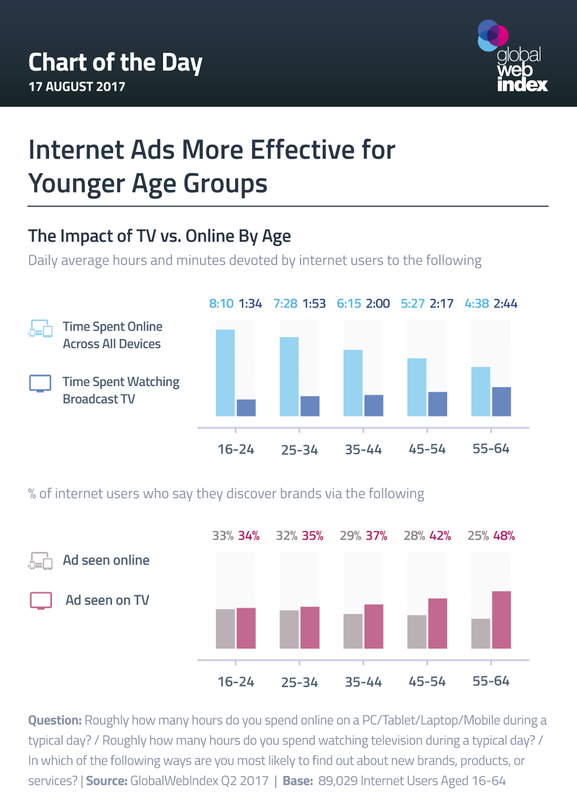 Yet even among the least engaged 16-24s, it’s still over 1.5 hours being devoted to this media each day, with an impressive 1 in 3 finding new brands or products via TV ads. Little wonder that names like Facebook are working to capture more and more of the time devoted to TV, then. Even so, the daily time people spend online across various devices (mobiles, tablets, PCs, laptops etc) far outranks that captured by TV, and it’s interesting that – for 16-34s – ads seen online are perceived to be about as effective as those seen on TV. 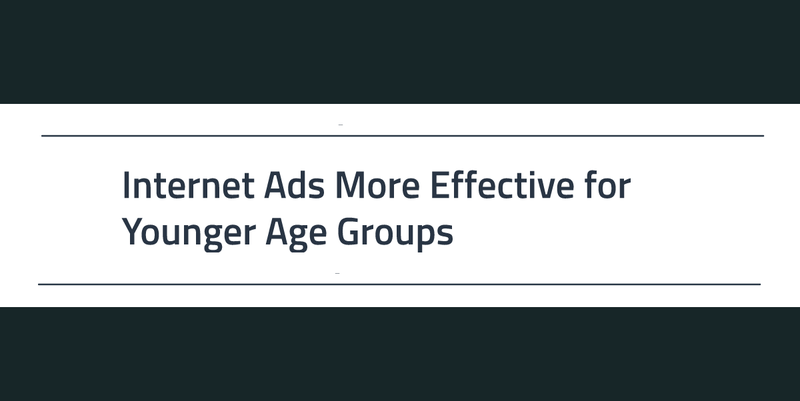 As with television, there’s a direct correlation with time spent here; the longer someone spends engaged with the internet, the more likely they are to say that they discover brands via online ads. And with time spent online continuing to increase each year, there’s a real chance that TV will start to be outscored in all age groups.